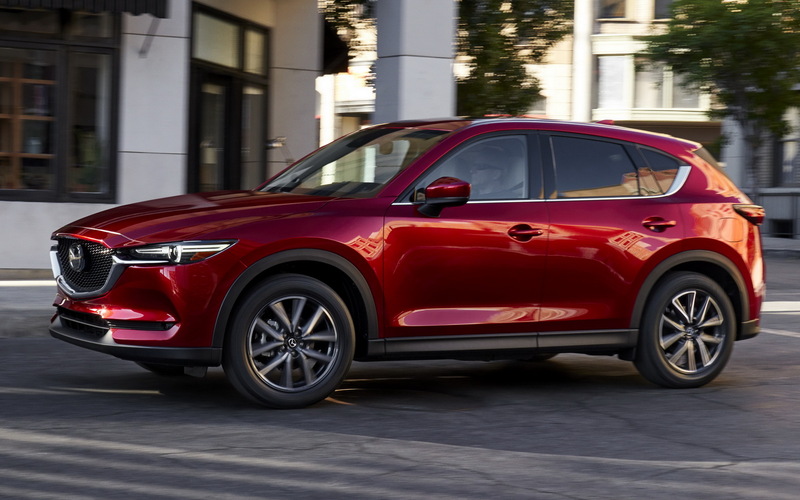 After just nine months of being on sale, Mazda is updating the CX-5 for the 2018MY with new features. 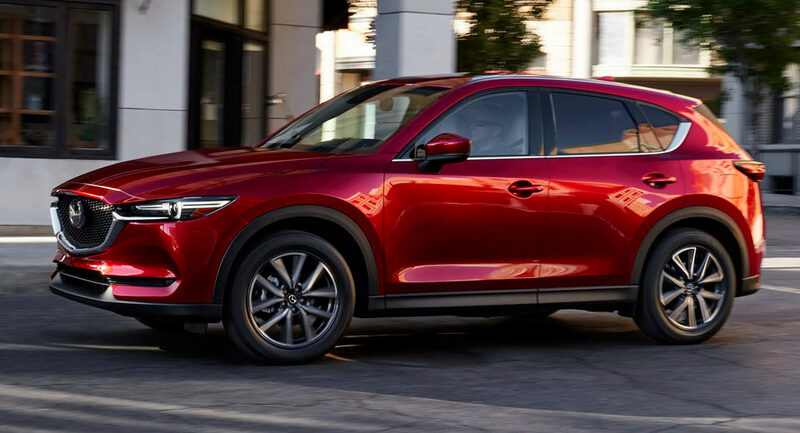 The biggest highlight of the 2018 Mazda CX-5 is the adoption of the company’s cylinder deactivation system, enabling the Skyactiv-G 2.5-liter petrol engine to shut down the two outside cylinders at cruising speeds for better fuel economy. 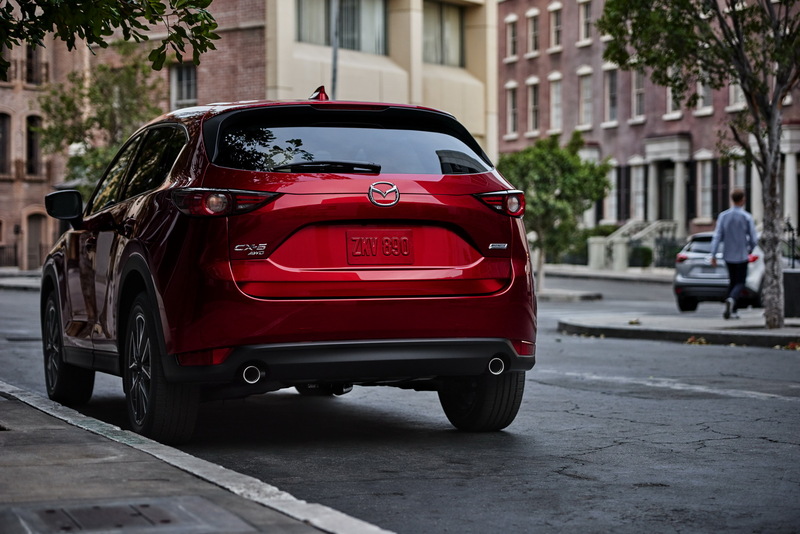 Mazda has also upgraded the standard levels of equipment across the CX-5’s range, which now includes more active safety systems like Blind Spot Monitoring with Rear Cross-Traffic Alert. 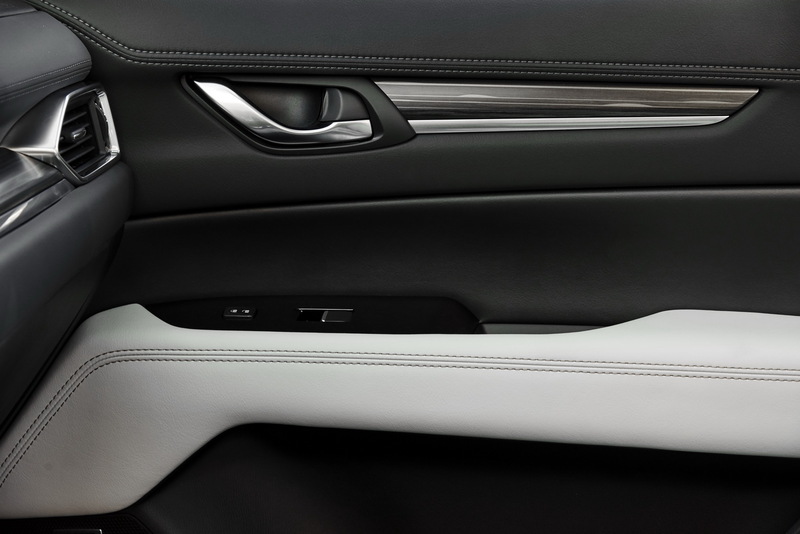 Entry-level Sport models come with cloth upholstery, LED headlights, 17-inch alloys, a seven-inch infotainment system with Bluetooth audio streaming and more. Mazda also introduced the new i-Activesense package which adds High Beam Control, Lane Departure Warning, Lane-Keep Assist, Mazda Radar Cruise Control, Smart Brake Support, rain-sensing windshield wipers and automatic on/off headlights and is fitted as standard from the mid-trim Touring model onwards. The 2.5-liter Skyactiv-G petrol four-cylinder engine produces 187hp and 186lb-ft of torque and is mated to a six-speed automatic transmission as standard. 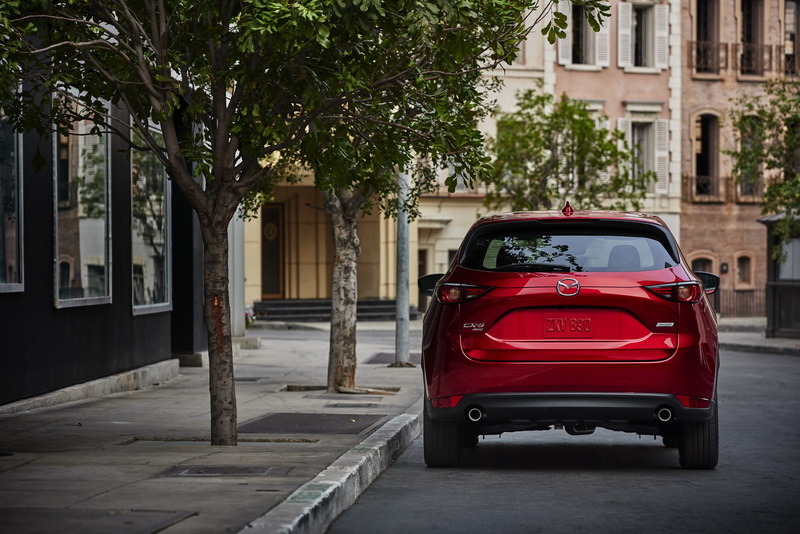 Front-wheel drive is standard, with Mazda offering the i-Activ all-wheel drive system on every trim level. 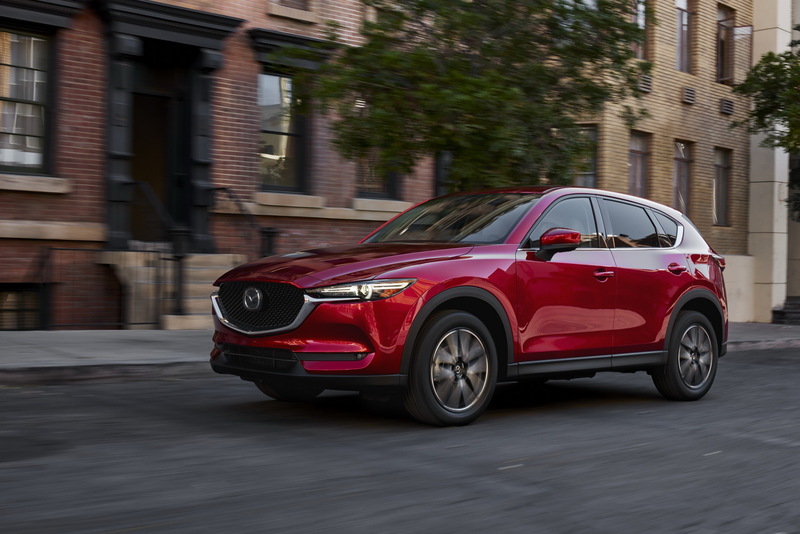 The first examples of the 2018 Mazda CX-5 will arrive at US dealerships nationwide in early December. 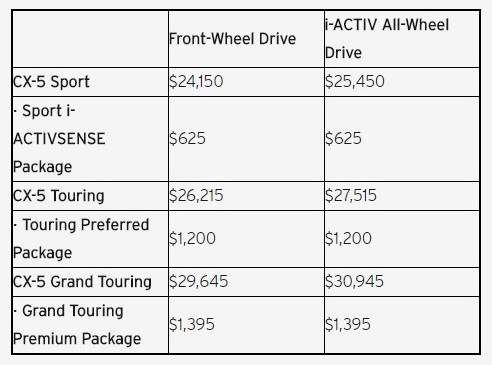 Prices will start from $24,150 for the FWD Sport version and $25,450 for the AWD model.